My friend Mr Jim Moon has been podcasting marvelous stories and essays from the “great library of dreams” for five years. But he’s just now started a Patreon campaign! And I’ve just signed up to support his great endeavor. If you’ve not heard his show, Hypnogoria, you’ve been missing out. 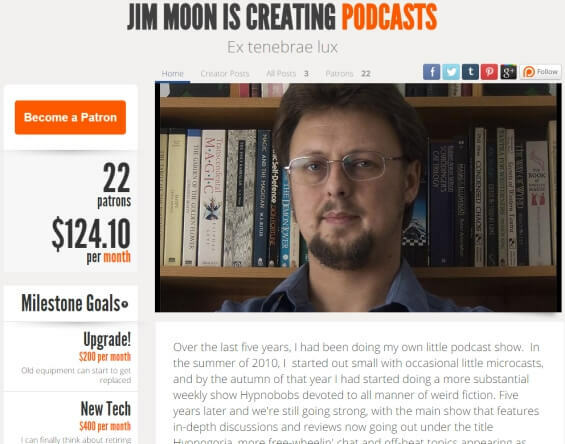 Mr Jim Moon is to the weird and the wonderful what Dan Carlin is to history and politics. There has never been anything like Hypnogoria before, and podcasting is the only medium in which it could exist. Hypnogoria is the most thoroughly researched and thoroughly executed oral history of the “weird and the wonderful” you’ll ever hear. and those are just the shows I remember! Check it out Hypnogoria HERE and, the Patreon HERE. Yes, Jim Moon is consistently entertaining. 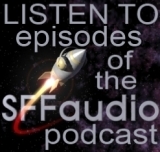 I particularly liked the “orgins of Alien” podcast.